"It's a slick package, all targeted at people who do something else not finance for a living, and don't know what to watch out for." Brokers target a group of workers who qualify for early retirement; woo them at seminars; and then part them from their money in a final in-person meeting where you can barely recognize the disclaimers amid projections of fantastic returns and happy talk of international vacations, new cars and new homes. "Like bees to honey, stockbrokers have been descending on the burgeoning retirement pickings of baby boomers.  "It's an issue that will only get worse as the boomers are closer and closer to retirement," says Susan Wyderko, director of the Office of Investor Education and Assistance at the Securities and Exchange Commission." Salomon Smith Barney (Citigroup) spokeswoman Kim Atwater said the company wouldn't comment while it was in litigation. Randy Matz, branch manager in the Charlotte, North Carolina, office where the two brokers worked, and a defendant in the lawsuit, said corporate policy didn't permit him to comment. Neither Muller nor Sweitzer returned phone calls. Falls and her husband said they had $933,000 in s when they opened their Salomon Smith Barney account, but left as unhappy customers with $440,000. "In an answer to the amended complaint filed on July 23, Smith Barney had said the investors didn't rely on any statements or omissions by Smith Barney and the alleged damages they suffered "were caused by market conditions." 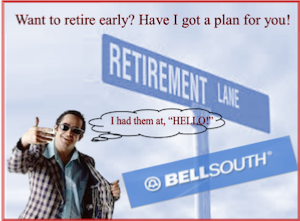 They are among 63 plaintiffs asking a North Carolina state court to grant them status as a class of "employees of BellSouth, or other places of employment" who received retirement advice and income projections from Smith Barney and decided to retire, based on that advice. (Bloomberg) -- Kaye Falls retired after she heard two brokers give a seminar at the office. Diane Shytle "took a package" after coworkers told her the same two guys were retirement experts. Hugh Q. Smith went the identical route after he picked up the brokers' promotional flyer one day at work. All three, former employees of BellSouth Corp., became lucrative clients of Salomon Smith Barney after getting a pitch to ditch their jobs and take a lump sum early retirement offer.All three believed a spiel that their money was in such good hands that they could take off for a vacation while their nest egg grew at a handy 12 percent a year, according to court papers and interviews with the investors.And all three are in litigation today in state court, asking for damages from Salomon Smith Barney (now Citigroup Global Markets Inc.) based on allegations that include breach of contract, breach of fiduciary duty and negligence. During the tape-recorded meeting with the Fallses, Miller and Sweitzer clearly explained fees and tax consequences. However, most disclaimers the brokers offered were quickly followed by optimistic talk about travel, high returns or the benefit of retirement in a world where there's "no lease on life. "That's already happened, and then some. The new, new thing is that retiring extra-early is a great idea. For the broker, anyway. The result: A slick "you'll-never-have-to-work-another-day-in-your- life" pitch, packaged for workers as young as 47, with $270,000 in the case of one BellSouth worker who retired early after getting the Sweitzer pitch.No Suggestion MadeIn the BellSouth case, regulators have been aware of aspects of the case since at least late 2002, though not so much as a wrist has been slapped in public view. Edward Stoken, an NASD investigator, wrote to officials at Smith Barney in October 2002 and January 2003 about the marketing material that was used to pitch Cora Hudson, who left her $42,876 a year job at BellSouth and placed $187,000 with Sweitzer and Muller. "The brokers would entice these people," says Tracy Pride Stoneman, one of the lawyers for the plaintiffs. "They'd say 'Why don't you buy a mobile home and travel the country? "Stoneman says she is still calculating the most important figures: how much her clients lost by retiring early, which meant drawing down money from accounts that would otherwise have gone untouched. Lawyers for the former BellSouth employees and their spouses are focusing on the alleged actions that led the investors to decide to retire, as opposed to more traditional charges in retirement cases, such as the sale of unsuitable securities. The state of Georgia settled with A.G. Edwards for $27 million in April to provide restitution to 119 investors, half of whom had worked for Procter & Gamble but retired early. Most cases, though, stay below public radar in private, industry-run arbitration. NASD has been granting requests to retirees among others for "group arbitrations" that have the lookthough not the public policy impact of a class action. On Feb. 25, 2003, Muller wrote to NASD that "at no point did I suggest to Ms. Hudson or anyone else that she could count on a 12 percent rate or any rate of return." (In his meeting with the Fallses, Sweitzer is heard on the tape saying, "I'm telling you 12 percent is all I want you to expect out of the growth side of the portfolio," and adds that the "reality is it's done much better than that. ")Stoken said he couldn't comment on whether there was a continuing investigation. Neither broker has NASDR sanctions on his records. And both continue to be employed in the Charlotte office of Salomon Smith Barney. Prospects aren't so sanguine for their former customers. Plaintiffs Phyllis J. Jones and Joyce F. Pressley have taken on cleaning lady work to make ends meet. Jones retired after placing $102,000 with Smith Barney; it declined to $43,000. Pressley placed $270,000 with the firm; it fell to $72,000. Barbara R. Houston, who was making $38,000 when she retired from her job as a frame attendant, has since worked in the jewelry department at Kohls. She placed $222,000 with Smith Barney; it sank to $170,000. All were high school graduates. Others who thought they had retired for good went back to jobs as cafeteria employees, grocery store workers and postal clerks. "I can't remember how many times they said we would be millionaires," Shytle says. "I felt like they wouldn't just let anybody come in there and talk to us," says Kaye Falls. She went to a seminar during her lunch break with about a dozen other people. Clifton Metcalf, public information director for BellSouth-North Carolina, declined comment. Lots can go wrong between an investment flyer and signing on the dotted line, says Wyderko, who herself picked up a retirement seminar flyer while on the road talking to investors recently. Wyderko discovered that the brokers on the pitch were wooing clients with promises of champagne. "I tell investors that the better the quality of food and the more expensive the alcohol, the more on guard they need to be," she says. But where are they when the seminar champagne is being poured?